The episode opens with the Crawleys distributing Christmas presents to the staff, notably a book on “The Royal Families of Europe” to Carson. The family serves themselves to Christmas lunch, as the servants serve the family during dinner. Richard says things will not be done that way at Hacksby. This scene demonstrates some of Downton’s social commentary on the upstairs - downstairs dynamic. It seems strange that the self-made businessman seems to prefer a less personal relationship between the masters and servants. This theme continues on throughout the episode, arguing for the mutual dependence of servants and masters. One of the main examples of this symbiotic relationship is Bates’s trial for the murder of the former Mrs. Bates. Lord Grantham and some of the servants are going to testify at Bates’ trial, and they are all under the shadow of the event even during the Christmas festivities. As with last episode, the dead are still alive and well in the hearts and minds of those at Downton. 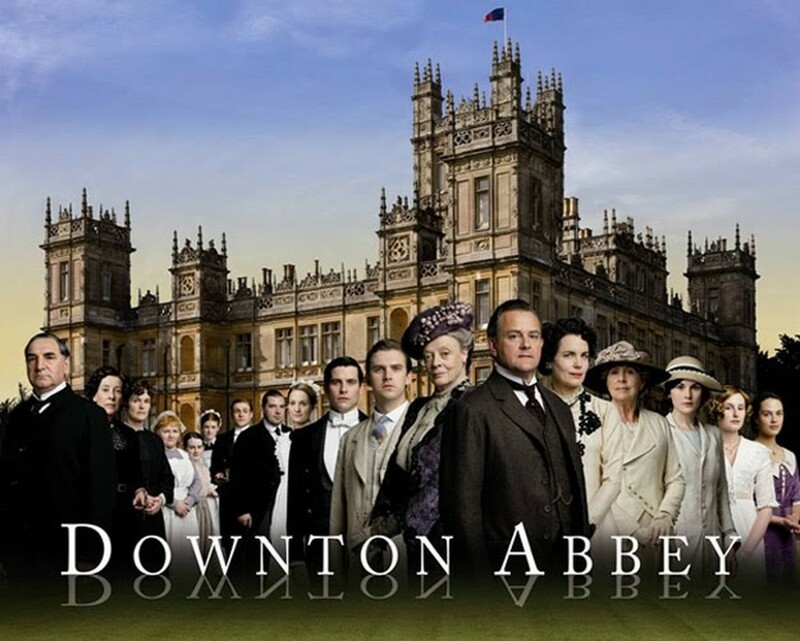 Matthew leaves Downton to attend to late Lavinia’s ailing father. O’Brian and Thomas set up a Ouija board downstairs to try and communicate with the dead. Meanwhile, upstairs they play charades. Sir Richard deems the game ridiculous. Lady Violet responds with the quip, “life is a game in which the player must appear ridiculous”. Sir Richard is becoming more and more of a villain. Now that Mr. Bates is in jail awaiting trial, Lord Grantham needs a new valet. Carson informs Lord Grantham that Thomas wants to be considered for the position. Lord Grantham responds that, “being dressed and undressed is an intimate business”. He makes this remark in reference to Thomas’s past as a thief, but perhaps is really referring to his homosexuality. It is unclear to me if his sexual preference is at all in an issue in this decision, or if his general evilness is the main factor. Edith’s old suitor, Sir Anthony Strallan, returns from the war without a right arm. He does not want her to pursue him and become a nursemaid, but she is quite fond of him nonetheless. I predict that this romance will end in marriage. He poses questions about Lady Sybil’s marriage to Edith and Lady Violet, and we discover that it has already occurred in Dublin and that only Edith and Mary attended the ceremony. Additionally, Lady Violet stretches the truth about Tom in order to make him appear to be a gentleman. A letter arrives with the news of Sybil’s pregnancy. Cora tells Robert that she wants to be a part of the child’s life, and it seems as though any conflict in this plotline has been resolved. Downton moves to its celebration of New Years. It is 1920, meaning that eight years have passed since the beginning of the series. This fact surprised me even though I rationally knew it to be true. Though much has changed, it hardly seems as though Mary could have remained unwed for such a long period of time. Speaking of Lady Mary, the gentlemen of Downton embark on a pheasant hunt and Mary agrees to watch Matthew shoot first rather than her fiancé. She remarks, “I never know which is worse – the sorrow when you hit a bird or the shame when you miss it”. She and Richard quarrel throughout the entire fight, and he is painted as a very pompous fellow. Still, Mary refuses to set a wedding date, and Richard’s patience is growing thin. This episode includes one complete plotline that has not been explored at all in other episodes. Rosamund, Lady Violet’s daughter, has a penniless suitor who is attempting to marry her for money. The family agrees that is perfectly acceptable to marry someone who wants to marry for money, as long as one does so knowingly. However, Rosamund never needs to make this decision, as she catches Lord Hepworth in bed with her maid. Next, we watch Bates’s trial progress. Bates is found guilty, partially due to the testimony of Mrs. Hughes, O’Brian and Lord Grantham. He is sentenced to death. His lawyer explains that this decision is not the end, and begins to attempt to change the sentence to life imprisonment. Everyone feels very guilty about not being able to help Mr. Bates and about not being able to aid him more. It seems as though the Crawleys care more about Bates’s welfare than that of Sybil in Ireland, Matthew in the war or Lady Mary having premarital sexual relations. Everyone, that is, besides Thomas, who remarks that he will be made valet because of the outcome. O’Brian replies, “I don’t often feel selfless, when I listen to you I do”. Cora tells Robert about what actually happened that night with Mr. Pamuk. He then discusses the matter with Mary, and tells her that she does not need to marry Richard for the sake of her or the family’s reputation. Based on this conversation, she decides to end their engagement and go to America for a few years. Mathew, Mrs. Crawley and Mary go to Lavinia’s grave to scatter her father’s ashes, as he died soon after Matthew went to be with him in the end. Mrs. Crawley tells Matthew that Mary still loves him and he should marry her. He tells her that she does not understand the full situation, but it seems as though his resolve to be miserable for the rest of his life is softening. In the strangest display of close relationships among masters and servants, Lady Violet and Daisy discuss Daisy’s continued guilt about not really being in love with William when she married him. Lady Violet explains that she clearly loved William very much if she agreed to marry him even though she did not feel as though they were in love. Daisy is finally absolved of her guilt and develops a relationship with William’s father, who has lost all of his children and his wife. Daisy establishes herself in other ways this episode, asking Mrs. Patmore if she can be an assistant cook rather than the kitchen maid. Daisy is not the only servant trying to better her position. Thomas decides to hide Isis, Lord Grantham’s beloved dog, in a shed in the woods so that he can find her later and prove his devotion to Lord Grantham. The plan does not totally work out, as he is forced to leave the dog in the shed overnight, and local children find her before he can get there. Still, Lord Grantham sees Thomas’s commitment to finding the dog and decides to give him a chance in the role of valet. Throughout this whole event, everyone repeatedly remarks that it is terrible for something like this to happen “at a time like this”. Why is Bates’s ordeal discussed as the worst thing that has happened to Downton? It seems a bit strange and heavy-handed. Bates’s sentence is changed to life imprisonments. Thanks to the news, the servant’s ball continues as originally planned. Mary finally ends her engagement with Richard. He does not take the rejection well, and begins to yell at Mary. Matthew comes into the salon when he hears the noise and begins to fight Richard. It is clear that Richard will scorn Mary in some way and that Matthew is always going to be in her corner. Mary tells Matthew about why she felt as though she needed to marry Richard. He is obviously surprised and unhappy to learn about her impurity, but takes the news in stride. The couple goes outside at the end of the servants’ ball and discusses moving beyond Lavinia and Richard, and marrying. Matthew asks Mary not to go to America and stay with him. Matthew goes down on one knee and proposes properly. Will these star-crossed lovers be happy together in the end? I think so. Apparently, so do the dead. Anna and Daisy decide to play one more game of ouiji board. The board says, “may they be happy with my love,” suggesting that Lavinia wants Matthew and Mary to be together. I find this plot device insulting to my intelligence and way too cutesy. Still, I do hope that the couple is happy together, of course.